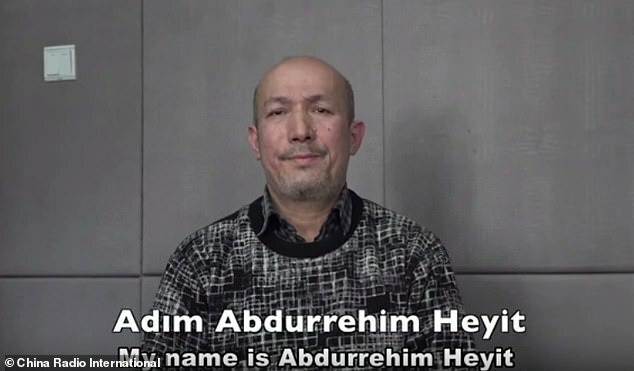 Chinese state media has released a video it said proves Uighur poet and musician Abdurehim Heyit is alive, after Turkey cited reports of his death in custody in a strongly worded condemnation of ‘human rights violations’ in Xinjiang. 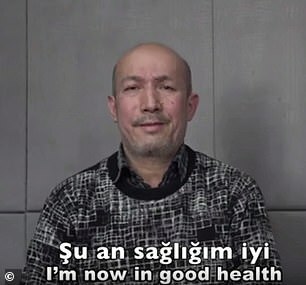 In the 26-second video posted online by China Radio International’s Turkish language service late on Sunday, a man dressed in a grey sweater identifies himself as Heyit before declaring himself to be in ‘good health’. 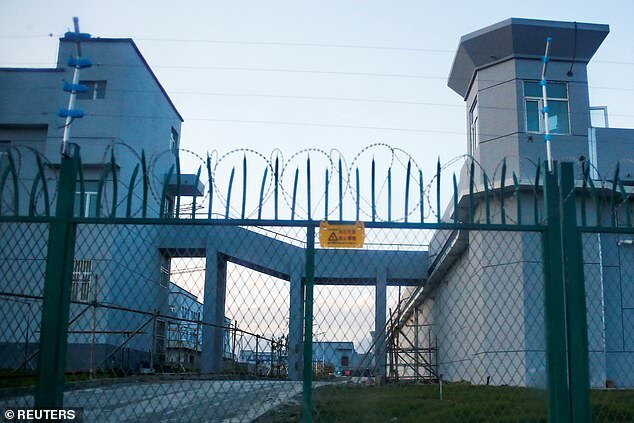 On Saturday, in a rare move from a majority-Muslim power, the Turkish Foreign Ministry called on China to close its internment camps for Muslims, saying the camps said to hold a million ethnic Uighurs are a ‘great shame for humanity’. 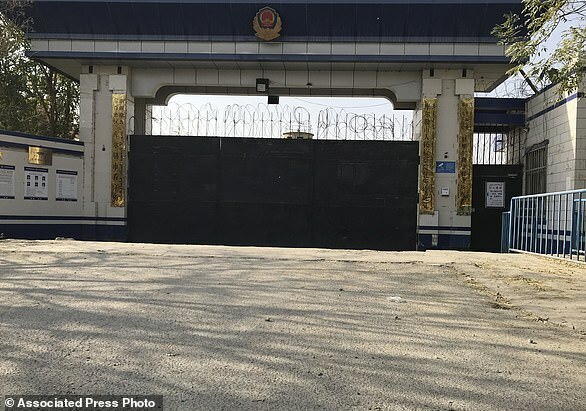 That statement had come in response to a question about recent reports that Heyit, a well-known poet and musician, had died while in Chinese detention, having been ‘sentenced to eight years in prison for one of his songs’. 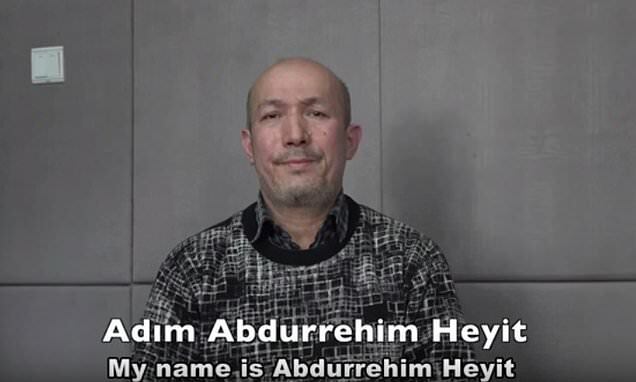 Heyit was was believed to have been arrested in April 2017, according to former colleagues cited by The Guardian. His son was reportedly able to visit him, but friends say they have heard not heard from him since he was detained. ‘This tragedy has further reinforced the reaction of the Turkish public opinion towards serious human rights violations committed in the Xinjiang region,’ ministry spokesman Hami Aksoy said on Sunday. 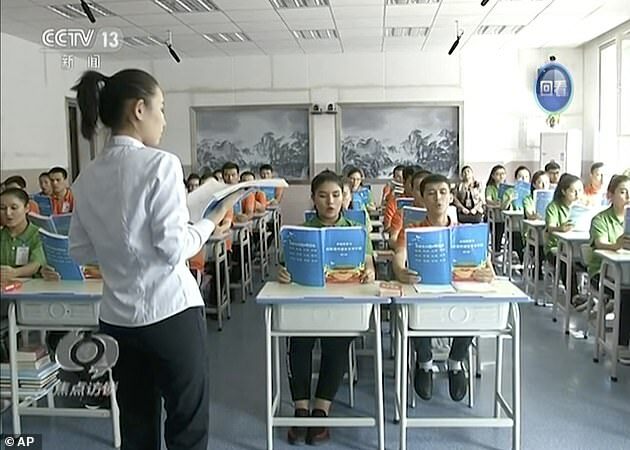 China denied the existence of the so-called ‘re-education’ facilities for months before saying they were in fact vocational training centres designed to combat religious extremism, and has increasingly been on the front foot in defending its actions.